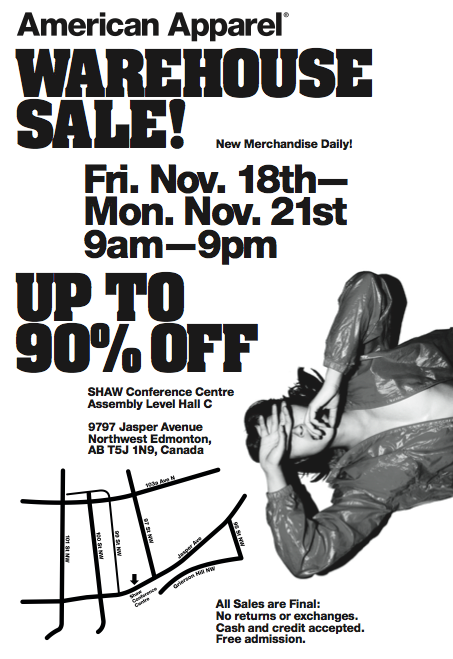 YEG American Apparel Warehouse Sale! I plan to go nutso. See you there.